“Now it’s a problem of discipline in order that they (the belligerents) stop shooting and retake their previous positions. The fact that they have accepted this principle is a step forward,” he said. On March 18, J.P. Bemba declared on one of his Kinshasa television stations that the terms of an accord signed by William Swing, in which President Kabila was ready to concede him an ‘appropriate security’, were not acceptable. Mr. Bemba lost the DRC presidential race to Joseph Kabila in a second round of elections, which held on October 31, 2006. 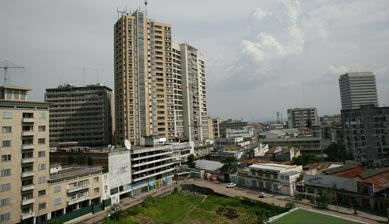 The situation remains tense in Kinshasa this evening, as sporadic gunfire continues. MONUC have taken all possible actions to protect the civilian population of Kinshasa as well as UN personnel in the capital.